Ever been asked to find a quick and easy way to add to your pipeline and close business? We have too. 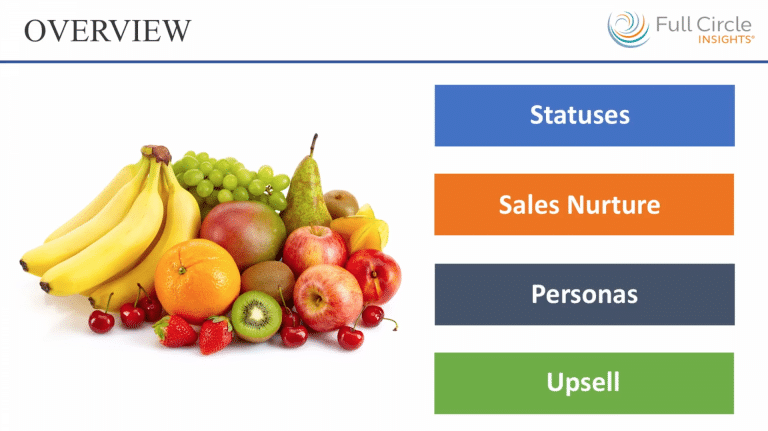 This session dives into some of the methods Full Circle Insights uses to find and take advantage of low hanging fruit, as well as the framework we use to build recurring operations that surface and harvest these opportunities. 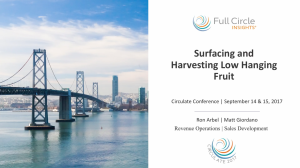 Presentation by Ron Arbel, Revenue Operations Manager and Matt Giordano, Sales Development Representative Team Lead, Full Circle Insights at Circulate 2017. Surfacing & Harvesting Low Hanging Fruit.